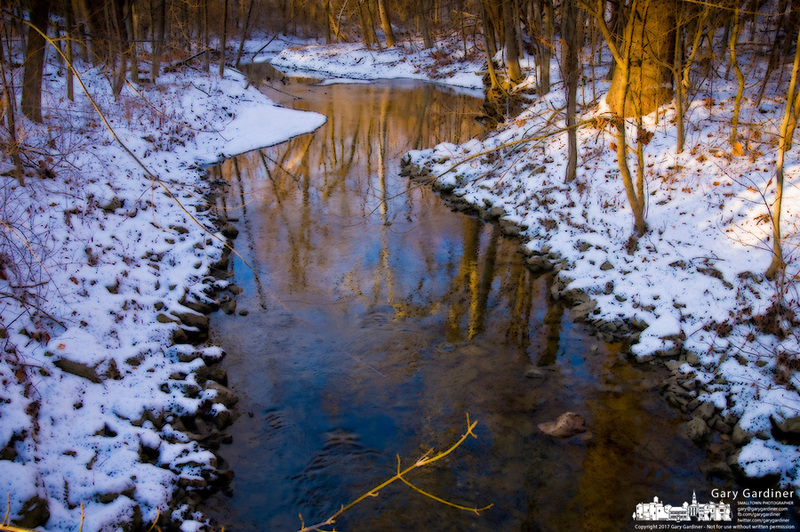 Late afternoon sun warms the eastern bank of a stream running through Inniswood Metro Park after a snow storm. Photo Copyright Gary Gardiner. Not be used without written permission detailing exact usage.